The High Wall Barn is s great shed. 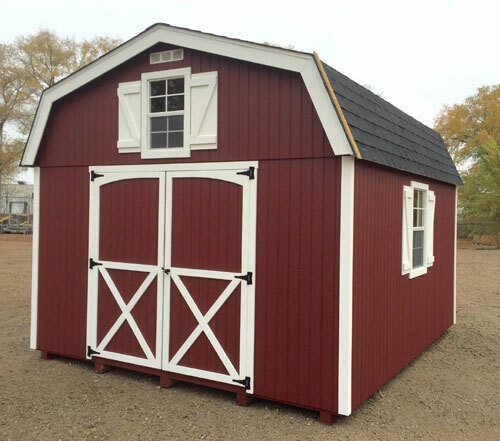 This shed has plenty of head room and you can add a loft for more storage. The standard features are pressure treated plywood floors, 16″oc construction, painted, architectural shingles, transom window, double doors, thick trim package and vents. Add side windows and shutters. Sizes are 8′,10′, and 12′ wide.